Home Golf The world at the feet of Tiger Woods: "He remains the Master"
The world at the feet of Tiger Woods: "He remains the Master"
Different media outlets around the world echoed the American golfer's feat, which Augusta conquered at age 43. Tiger Woods shook last Sunday the world of sports and, more specifically, the planet golf. The 'Tiger' returned to reign in a Masters of Augusta for the fifth time, the 15th largest of his career, and no less than the 43 years. How could it be otherwise, the spectacular regress Woods (operated by fourth time of the back in 2017) has not gone unnoticed and different media from around the world have echoed such a feat in the last hours. Next, we review the best awards Tiger has received in the international press. 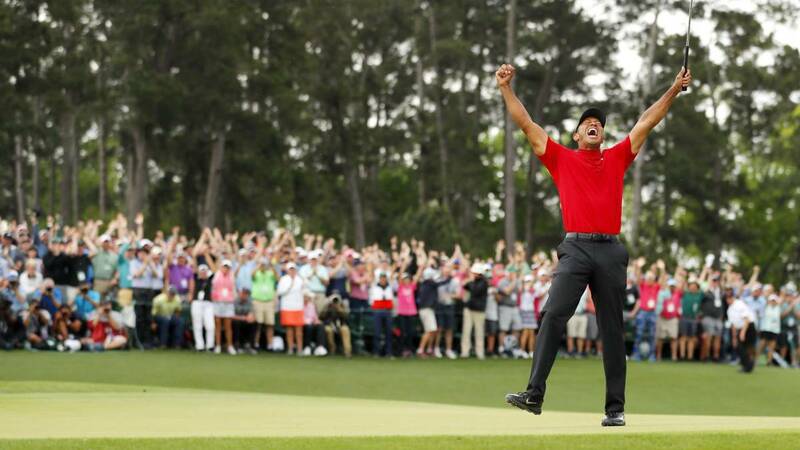 Sky Sports: "Wonderful Woods wins the Masters"
Woods wins by one to get the fifth green jacket and the first major since 2008, as Molinari staggered in the last nine holes. The New York Times: "Tiger Woods, exciting return to the top with 43 years"
Tiger Woods showed that he was back not with a shot, but with a fixed look. The Washington Post: "Tiger Woods , the progidio of golf, returns with a roar "
Pasarán years before another day like this happens. Los Angeles Daily News:" Tiger Woods dwarfs our imagination, but not his "
Completa his return to win his fifth Masters. Tiger shows the world and his children that he is still the Master. Daily Mail: "Tiger challenged the ages in Augusta to open a portal to his glorious past"
The scandal of driving under the influence of alcohol and barely being able to walk until the history's best comeback: Tiger Woods' path to redemption ends with the Augusta Masters. The Guardian: "Tiger Woods completes a story of persistence against age at the Masters"
Two years after contemplating retirement, the American eclipsed the remarkable recovery of Ben Hogan. L'Equipe: "Woods, the absolute monarch"
Woods, the greatest of mortals, has picked up the thread of his legend. La Gazzetta dello Sport: "Woods, the legend returns"
Festival in the Masters. Tiger, with an incredible finish, returns to win a major after 11 years and wears the Green Jacket after 14. Sport Bild: "Triumph in the Masters for Tiger Woods"
Woods gave the great show at the Augusta National Golf Club. The superstar is crowned with one of the biggest and most emotional reappearances in the history of sport.